A neck lift can make a dramatic difference in facial appearance. Small-incision surgery allows recontouring of the neck with minimal downtime under twilight anesthesia. The neck lift is ideal for treating people with conditions such as turkey wattle neck and excess fat, but who are not bothered by jowls and cheek contour problems. 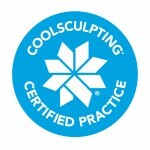 Smart lipo can sometimes be used in this area to melt away small amounts of fat and tighten skin.